Home > News > Mba Application > Do you really need an MBA degree? Convince yourself you need one and the admissions officers follow says Sameer Kamat, founder of MBA Crystal Ball, who was an MBA scholar at the UK’s Cambridge University. 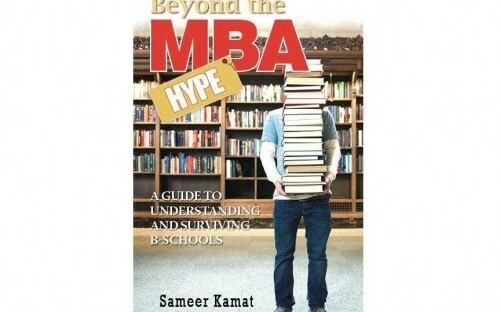 Sameer Kamat is the founder of MBA Crystal Ball, an admissions consulting venture. He completed his MBA from the University of Cambridge on a double scholarship and worked in mergers & acquisitions for five years before becoming an entrepreneur. He is also the author of Beyond The MBA Hype published by HarperCollins and recently recommended by the Times of India. As the founder of an MBA admissions consulting venture, I get the opportunity to interact with many aspiring applicants who have the top MBA programs on their radar. Despite their excellent academic and professional backgrounds, one of the most common dilemmas they struggle with is to figure out what exactly they want from the MBA experience. Sameer Kamat, MBA Crystal Ball! In some cases, the motivation to pursue an MBA degree is the proverbial pot of gold at the other end of the rainbow. In some cases, it is to get away from their current problems on the professional or personal side. For others, it’s a career change. When the desire to achieve (or get away from) something is so strong, the MBA ecosystem starts appearing like a magical environment where regular folks enter and come out on the other side as superstars. All the aspects of bschool life – the academics, the networking, internships and the career hunt – have their idiosyncratic ways of functioning. What worked for one alumnus (you’ll find many such success stories on their MBA blogs) may not work for you. And vice versa. The stakes involved in leaving your stable job and venturing into unfamiliar territory can be high. And it’s not just the tuition fee we are talking about. It’s also the risk of quitting a role and/or an industry and heading into a field where you might have to start from scratch. All this coming from an admissions consultant might seem counter-intuitive. And let me assure you, it’s got nothing to do with reverse-psychology. Each year, we lose a fair bit of revenue by turning away clients when we aren’t convinced about their stories or goals. So then, is it to promote my new book that focuses on the same theme? In the spirit of being transparent, (if you hadn’t already guessed it) I’d say – yes, that would be one of the reasons. But I wrote the book years before I launched my admissions consulting business. It’s taken a while to get it published, but in the current economy the message that it contains might be more relevant than ever. I have encouraged potential clients to defer or shelve their MBA plans, when I felt there were alternatives that could help them achieve the same objectives. So before you plunge into the frenzy of application essays, take a step back, introspect and think about why you really need an MBA. Forget what you think Adcoms are looking for, what the average MBA profile for your dream school looks like and what image you should be projecting to get that little edge over your competitors. Don’t lose sight of the bigger picture. It’s not so much about convincing others that you need an MBA, it’s about convincing yourself first. If you feel there are easier, cheaper and less risky paths to reach your goals, explore them thoroughly first before finalising on the MBA journey. If it can save you over a $100,000 and 2 years of your productive life, I’d say that’s a heck of a deal. For those who’ve already dealt with these dilemmas, good luck to you as you prepare to meet your application deadlines. Thank you Sameer - I think that an MBA is not something that you should undertake lightly and you make a valid point that you must not think of business schools as a magical environment. What are the main reasons you would have to hear to encourage an MBA applicant from shelving their applications? Your right, I think in many cases the 'proverbial pot of gold' is the main reason people do choose to complete an MBA, so i think schools are right to turn down students who do not have life & career goals except to be rich. Interesting piece and buying 'Beyond the MBA hype' sounds like a must for anybody considering an MBA. Thanks for sharing your views. The 'before' and 'after' salaries published by bschools indicate that an MBA can have a significant impact on the earning potential. In fact, this is one of the parameters used by many MBA ranking methodologies. So I don't think Adcoms mind it if their MBA students do well in life and save enough for a rainy day (AND a vacation home in Hawaii). The issue is when the other reasons (for attending a top MBA program) don't come across convincingly and it appears as if the applicant is in it just for the moolah. A quick clarification before address your question. One of the main reasons applicants come to us, is to get their stories validated. If we turned away everyone who came to us with half-baked stories we would be out of business. So, to be honest, the turning away happens for a combination of reasons (including capacity constraints). We don't expect complete clarity from applicants when they start working with us, but we do insist on some background research about schools, the application process and personal motivations. For some it's a matter of timing. Folks come to us with under two years work experience and sometimes immediately after completing their undergrad degrees. Though there are some schools that don't mind taking younger candidates, for the majority the average work experience at the time of matriculation is 4-5 years (more for 1 year programs). For others, it's about having appropriate post-MBA career goals. Though the prospect of working in an Investment Bank or an elite Consulting firm is very appealing to lot of MBA aspirants, it isn't the right fit for everyone. So it is important to choose a career goal that is aligned with the candidates skills and capabilities. I encourage applicants to really ask themselves if they have evaluated other options to reach their career goals. The book 'Beyond The MBA Hype' covers this in detail. But just to touch upon the idea, many of the individual benefits linked to MBA programs can be obtained through means that are cheaper, faster and less risky. We act more as facilitators to add structure and rationale. As part of the process, we ask the relevant questions and provide multiple perspectives, but we expect the final answers (and the decision to pursue or shelve their MBA plans) to come from the applicant. Thank you, Sameer, for addressing a very important aspect of the MBA decision making process. Evaluating whether an MBA is the right fit for one’s career and personal development goals is step #1 in the MBA project. This is a stage at which it is most effective and reasonable for candidates to use expert advice and orientation. Experts need to have profound professional knowledge in the international business education field, as well as consulting skills and adhere to the professional ethics in the field. An in-depth profile evaluation of the candidate is often combined with some career counseling aspects. I would also like to highlight the increasing variety of MBA offerings globally, as well as locally. This gives new opportunities to those considering an MBA. MBA programs as well as the admissions requirements may differ considerably, just as the motivation of MBA candidates themselves. "We act more as facilitators to add structure and rationale." Sounds like you are a brilliantly knowledgeable sounding board for MBA applicants! I see that you are from Sao Paolo. I spent quite a bit of time there (and Rio de Janeiro as well) when I was still part of the corporate world. I picked up a little Portuguese, and though it's been several years, I never miss an opportunity to show it off. You are right, buddy. It can be a tough call, considering there's so much at stake. So I'd encourage you to take your time and carry out your independent research - on schools, careers, expenses - and then take a call. Nice article. However, I believe that an MBA is not a need, but rather an aspiration. Most students who enroll for MBA degrees ( http://www.cc-sd.edu/business/masters ) were probably already working and some of them may actually have great jobs and no pressing need as such to head to b-school. So, the urge to join an MBA program is rooted in their personal ambitions and aspirations. Having said that, graduate school can be an expensive proposition and you should be well aware of your goals before throwing in that kind of money.